Stanislas Dubois is a marine biologist at Ifremer (France). His work focuses on describing the structure and ecological function of biogenic habitats created by engineer species (e.g. gregarious tubiculous polychaetes or amphipods). Using complementary approaches, he tries (1) to evaluate the structural diversity of those habitats and to characterize the macrofaunal species assemblages and (2) to determine the functional diversity of habitats structured by engineer species vs. the surrounding habitats. In REEHAB, Stan is the lead researcher. 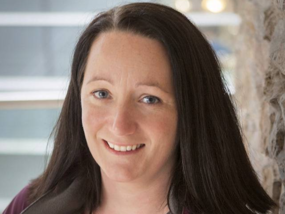 Louise Firth is a lecturer in environmental sciences at Plymouth University. Louise is a specialist in rocky shore communities and their borad-scale long-term changes. She is interested in changes in range limits of species such as limpets, and compares historic and present distribution. 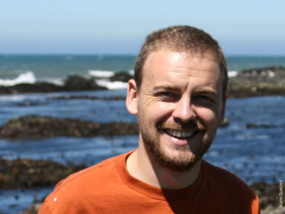 Andy Davies is a marine biologist at Bangor University in the UK. He works on reefs, using a mixture of natural history observation, experimentation and novel technologies to untangle the ecology of these enigmatic habitats. 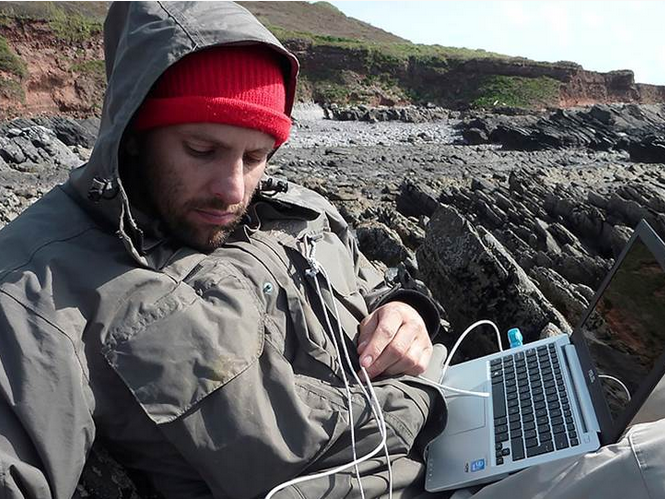 In REEHAB, Andy is collating data for the most northern Sabellaria reefs in our study, collating information on their extent, dynamics and function. 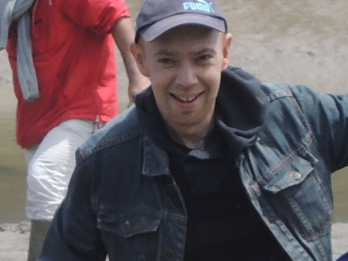 Fernando Lima is a researcher in marine biodiversity and biogeography at Porto University (Portugal). His main research interest is the study of marine biodiversity and biogeography, with particular emphasis on the processes governing species distributions. Most of his recent works focus on the study of alterations in species distributions and their relation with climate change. He likes multidisciplinary approaches, and his current projects combine aspects from experimental ecology, behavior analysis, physiology, climatology, electronics, and modeling. 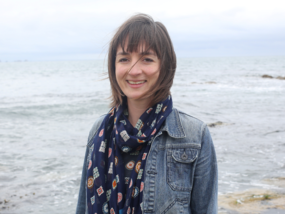 Amelia Curd is a PhD student co-supervised by Stanislas Dubois and Louise Firth. 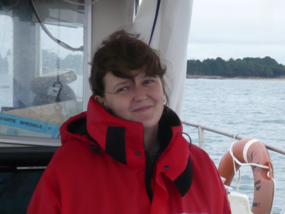 Her main objectives are to map the past and present distribution of S. alveolata reefs, and to model the variables which explain the presence/absence of these reefs across the honeycomb worm distribution range. She is analysing biological traits (e.g. size, fecundity) of S.alveolata and their variation along the sampled latitutdinal gradient, from Scotland to Portugal. 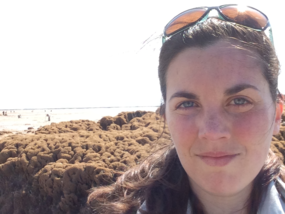 Céline Cordier is a research assistant specialised in habitat mapping. She contributes to the REEHAB project through searching for historic data and cataloguing the historic documents, building a GIS project with the resulting information and managing the REEHAB website. 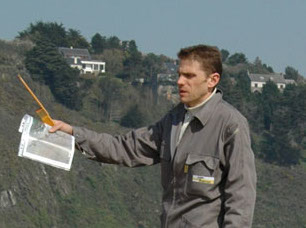 Nicolas Desroy is a benthic ecologist at Ifremer's marine laboratory in Dinard. He is interested in marine organisms and assemblage distribution within habitats. In the REEHAB project, he is involved - together with his colleagues including Patrick le Mao -with the collection of historical data on the presence/absence of honeycomb worm reefs. Flavia Nunes is an evolutionary ecologist, interested in how reef-building organisms are capable of acclimating and adapting to global change and anthropogenic stressors. In REEHAB, she will be using population genomics to examine the possible relationships among genetic parameters of S. alveolata, the physiological health of the reef-builders and overall reef health. Mickael Vasquez is a GIS expert specialised in mapping environmental variables and modeling physical benthic habitats. He contributes to the REEHAB project by providing climatologies and statistical descriptors of several environmental variables such as temperature, light, shear stress etc..originating from hydrodynamic models. 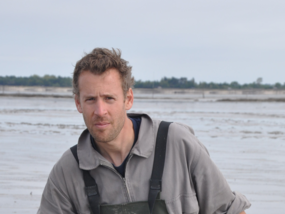 Fabrice Pernet is a researcher at Ifremer specialised in marine invertebrate physiology. Although the bulk of his research concerns oysters, he is also interested in using honeycomb worms as a biological model. In this project, he will look at how the lipid composition of S. alveolata specimens can provide information on their health status, notably via the effects of thermal stress. 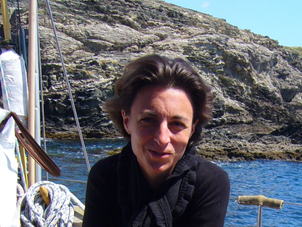 Charlotte Corporeau is also a marine invertebrate physiology researcher at Ifremer. She has a biomedical background which is extremely useful for understanding stress mechanisms at molecular or cell level in marine organisms. In the REEHAB project, she is analysing protein markers in order to look at stress levels (ageing) of the organisms. 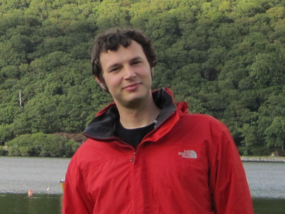 Rui Seabra is a postdoctoral scientist at CIBIO – University of Porto. He's investigating how environmental factors influence species’ distributions across multiple scales. His work comprises either the characterisation of environmental patterns (temperature, shading, wave force, desiccation, etc.) from the global to the microhabitat level, or the determination of how important those factors are for the build-up of stress in organisms. Laura Bush recently defended her PhD on the "Stability and variability of the ecosystem engineer Sabellaria alveolata on differing temporal and spatial scales". The aim of this thesis was to establish if S. alveolata has responded predictably to climate change at its northern range limit, and to investigate abiotic and biotic drivers of observed change.